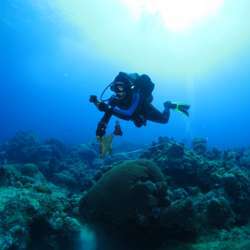 You must be a member of the Houston Scuba Diving Group to attend this activity. Would you like to join this group? It has been quite a while since this group has seen any activity. Let us meet upcoming Sunday January 27th at 11am to rekindle our scuba spirits. This will give us an opportunity to meet each other, know about specific interest and plan subsequent activities accordingly. Hope to see all y'all and let's start diving together!